Regulars to Cartoq would remember our recent report on an Uber self-driving cab in Tempe, Arizona, which killed a pedestrian on Sunday night. 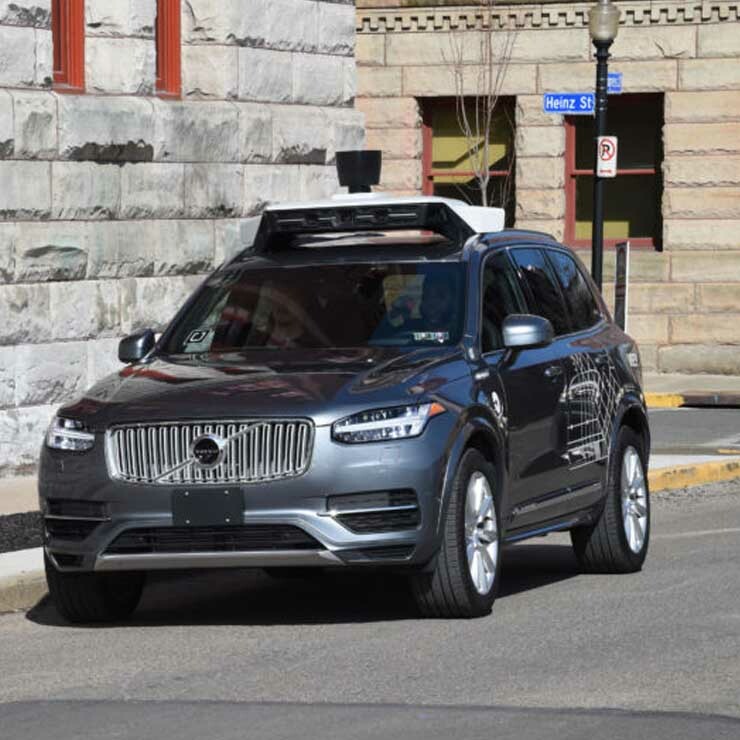 The incident raised several questions on the decision of the authorities that allowed the testing of the autonomous vehicles on public streets. Now, it has come to light that it would have impossible for even a human driver to avoid the mishap. The San Francisco Chronicle reports Tempe police chief Sylvia Moir as saying,”The driver said it was like a flash, the person walked out in front of them. His first alert to the collision was the sound of the collision.” The autonomous vehicle carried a human in the driver’s seat but was driving on its own. It is said to have been traveling at 38 mph in a 35 mph zone when it hit a 49-year-old lady. The pedestrian was pushing a bicycle and suddenly got in front of the car from her earlier position on the center median. Even the video captured by the cameras in the self-driving Volvo SUV show that the collision was inevitable. “It’s very clear it would have been difficult to avoid this collision in any kind of mode (autonomous or human-driven) based on how she came from the shadows right into the roadway”, Moir added. Thanks to all these accounts, it does seem like the self-driving vehicle may not have been at fault. If nothing else, there are good chances of the collision being unavoidable even with the car in control of a human driver. It is actually the first time that a pedestrian has been killed by a car that is self-driven. While the technology is still in testing phase and might get better in the coming time, it still raises many concerns about the accuracy and efficiency of these vehicles. This incident goes on to show that it’s simply impossible to come up with a fool-proof self-driving car system that ensures the safety of all the road users. Earlier last year, Uber’s test vehicles covered a cumulative mileage of two million miles, out of which 84,000 miles were covered on the public roads.